From August 14-September 14 we had a giveaway for Nob Hill. Many of you entered the giveaway, for which I am grateful, and the winners were selected at random. A freshly pressed copy of the novel was shipped to Trish from Chicago, Scott from Danville and Rina, not sure from where yet, waiting to confirm her address. Thank you all for participating, and please stay tuned there will be more giveaways. 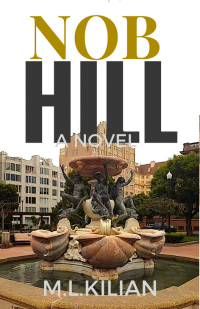 In the meantime, you can also buy Nob hill direct from me at a discount price.